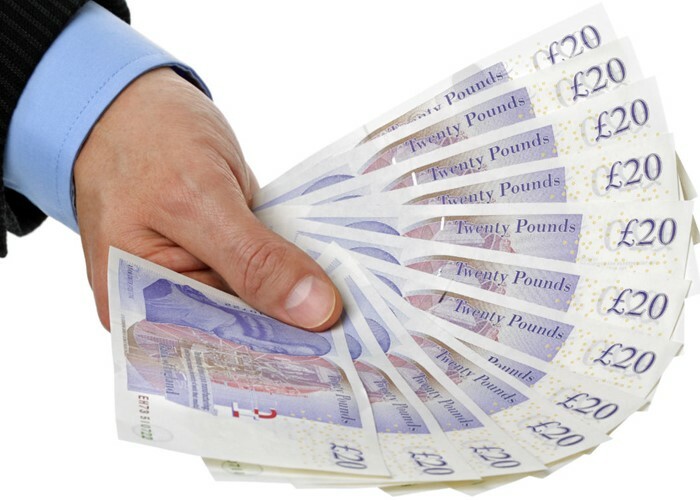 Are you missing out on thousands of pounds? If your 2017 resolution is to be a bit better off financially, then making sure you claim the cash you are entitled to is a useful start. Here are some of the ways you can be reunited with cash that is rightfully YOURS! According to Turn2Us an incredible £16.6 billion in benefits and tax credits go unclaimed each year, while a further £331.9 million is available in grants from charitable funds. That’s a huge amount of cash that could make a real difference to your bank balance. Why not have a go on the benefits calculator on the Turn2Us website to see if you are missing out on money. There is an absolute fortune sitting in lost bank and savings accounts ‒ as much as £850 million! The My Lost Account website has been set up by the British Bankers’ Association, the Building Societies Association and NS&I to help you establish if you have an old, forgotten account. According to NS&I, the average amount reclaimed from its old accounts is just shy of £2,000! According to a study by Which? last year, around one million of us could be owed compensation for flight delays, with more than 43 million travellers affected by delays between April 2015 and March 2016. The compensation you can claim varies depending on the distance you were travelling and the length of the delay itself. For a full guide on what you may be entitled to, and how to claim it, check out How to claim compensation for delayed and cancelled flights. The ropey service on offer from certain railway firms (I’m looking at you Southern Rail) has been all over the news of late, but the fact remains that many different rail networks continue to get away with the many delays and cancellations on their lines simply because of our apathy about making a claim for compensation. As loveMONEY revealed last year, train firms were paid more than £107 million in compensation for delays by Network Rail, as a result of issues like points failures and landslips. Yet just £26 million of that cash ended up in the hands of commuters. The trouble is that while a couple of networks will offer automatic refunds for delays and cancellations, most rely on you actually asking for your money back. For a great guide on how to get a refund no matter which rail operator, check out Train delays and cancellations: how to claim refunds and compensation. According to a study by Gocompare last year, energy suppliers are sitting on more than £1 billion in overpaid bills. In fact, a quarter of us have balances in credit by more than £100. That’s not necessarily a bad thing - with direct debits, you tend to pay more than you actually use in the summer in order to cover the extra cost of energy use in the winter. But if you are significantly in credit, you should ask for at least some of that cash back. Read How to reclaim money from your energy supplier for more. Around 4.2 million couples in the UK are entitled to the married couple’s tax allowance, yet the Government reckons 3.1 million couples are missing out on a tax break that could be worth more than £200 a year. It’s very simple ‒ I have done it myself, and it took no time at all. If one of the couple earns less than the personal tax allowance ‒ that’s how much you earn before paying income tax - then they can transfer some of that unused allowance to their partner. However, their partner needs to be a basic rate taxpayer ‒ it isn’t open to higher or additional rate taxpayers. For more check out Marriage allowance: how to apply and boost your married couple’s tax allowance. Do you wear a uniform for work? If so, and you have to wash, repair or replace it yourself, then you could be in line for a tax rebate. The amount you can claim back will depend on your tax bracket. And while it won’t be big money ‒ basic rate taxpayers are looking at £12 a year ‒ you can claim back for previous years, so it could soon add up. To start the process, you’ll need to fill in this form online.